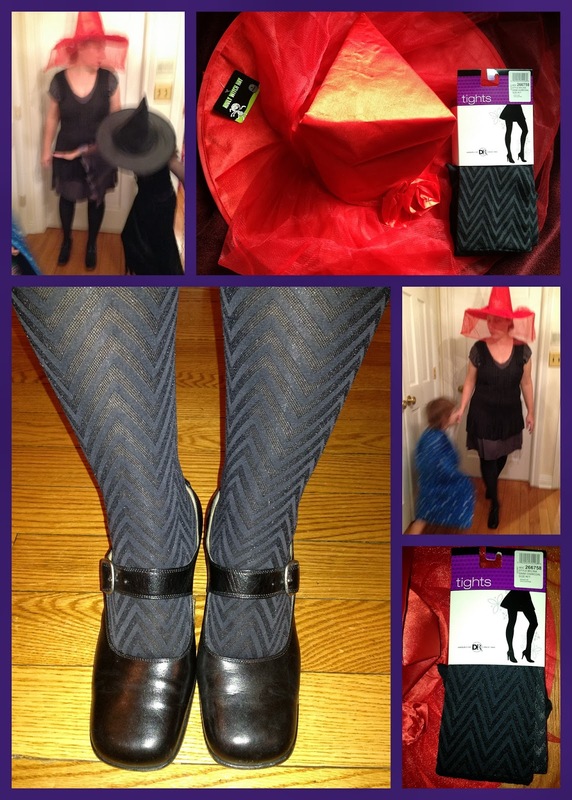 Random Handprints - A NYC Mom Blog... live from New Jersey: Celebrate Halloween with DR Legwear from Duane Reade! 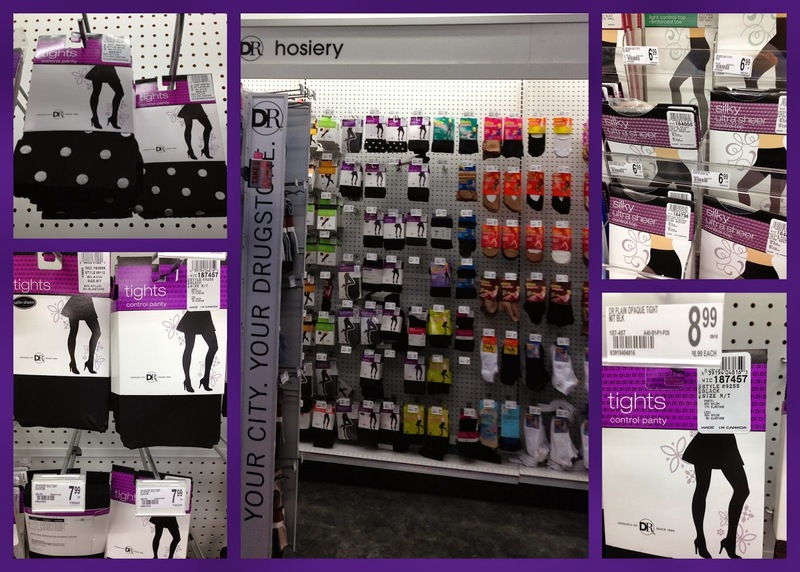 Celebrate Halloween with DR Legwear from Duane Reade! Regular readers know Halloween is a favorite topic here on my blog, and so I was beyond happy when Duane Reade asked me to share about their Boo-tiful Legs Contest and to visit Duane Reade to find some tights from their DR Hosiery and DR Legwear collections to add some flair to my Halloween costume. This year, I'll be dressing-up as a witch for my Halloween costume when I take my kids trick-or-treating. I had the hat and the black dress for my witch-ness, but hadn't figured out my footwear or tights. There are a ton of patterns to choose from in the Duane Reade tight department, from polka dots to fishnets. I went with chevron, which I thought would be fun to wear not only for Halloween, but for the rest of the other "regular" days of the year, too. While my daughter Kay and I were shopping at Duane Reade we also checked out all the other Halloween offerings, there's tons of stuff for everything you want need from costumes to home décor. When we got back home, I tried the tights and let my kids choose from my collection of black shoes the ones they deemed the most "witchy." Also I should note that the tights could not be more comfy and the price is fantastic - $7.99. I'm so glad I had the chance find out about the DR line, because I will definitely be back to get some more. 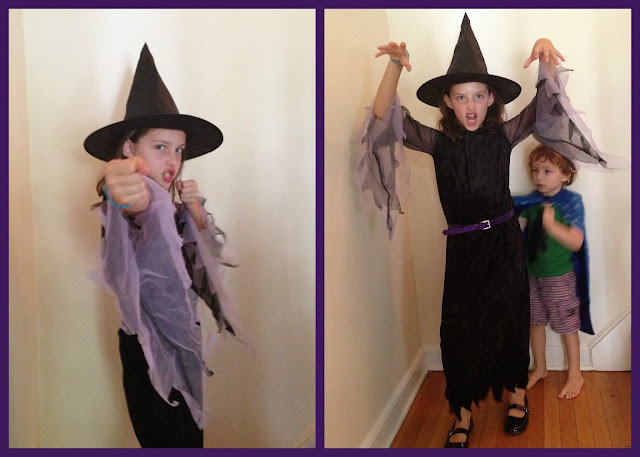 I think the witch costume turned out perfectly, not to mention perfectly witchy. Now tell me, what are you dressing-up as for Halloween this year? 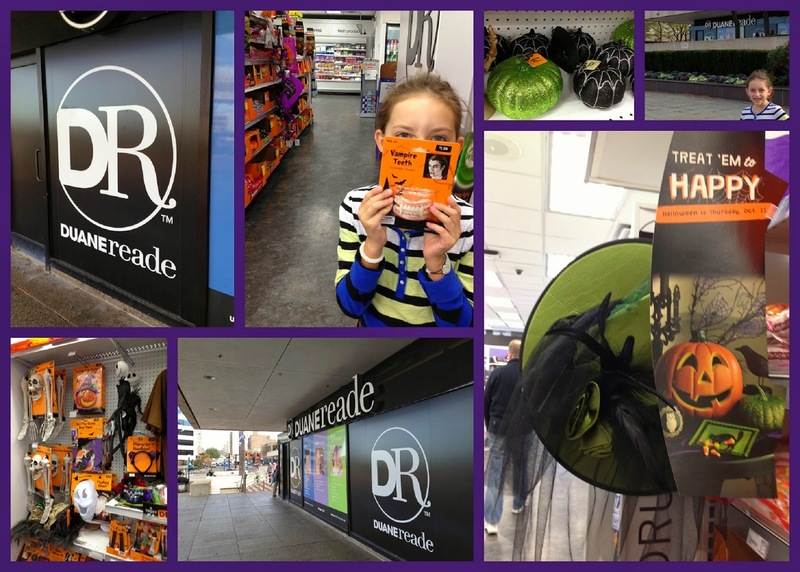 Learn more about Duane Reade's Boo-tiful Legs Contest! From October 13 to November 3 upload a photo of your Leg Candy (Duane Reade branded legwear) for a chance to win an awesome prize. Join the #DRLegCandy Twitter party this Wednesday, October 16, from 9-10pm EST to talk about Halloween as well as for the chance to win super prizes. Catch-up with Duane Reade for the latest deals and new products on Twitter, Facebook, Pinterest and YouTube.